Traditionally cocoa farmers deliver their cocoa beans to the cooperatives, laready fermented and dried. 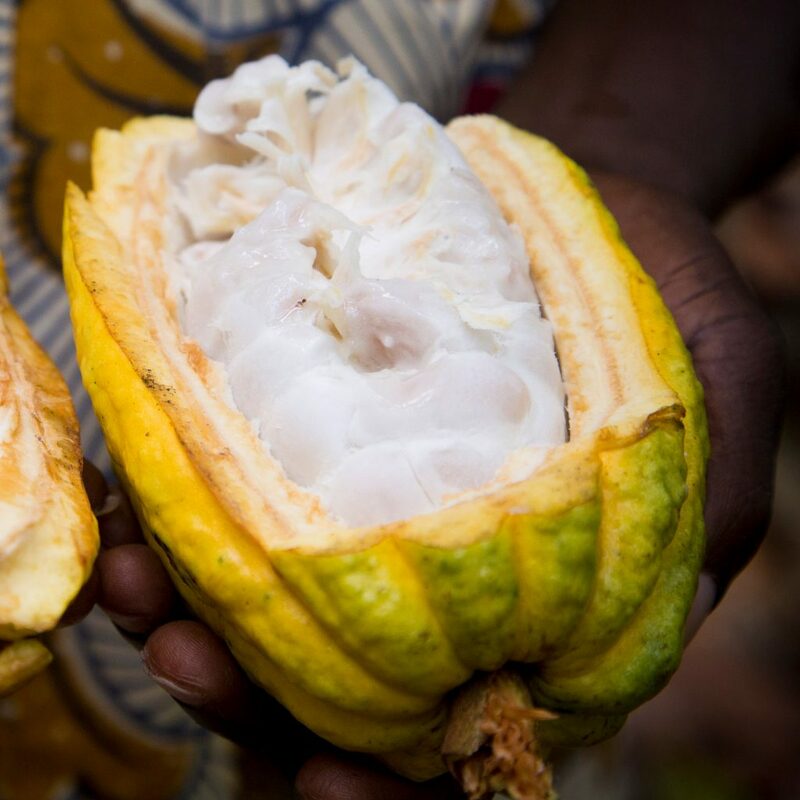 With our “Cacao Frais” (Fresh Cocoa) programme the farmer harvests and de-pods the beans and then delivers them to CÉMOI where we take care of their aromatic development. The freshly harvested beans are delivered the day of harvest to the CÉMOI fermentation and drying centres. Our personnel then take over with the fermentation and drying processes. The sweet, white pulp that surrounds the fresh beans determines their organoleptic characteristics and is what makes a good chocolate. This stage is decisive in the organoleptic quality of the cocoa and the fermentation process is carried out in our centres, resulting in Cacao Frais Selection. Our CÉMOI centres are all equipped with a system of three-tier levels of wooden boxes in which is fermented the Cacao Frais. In order that the fermentation process works properly the beans are covered in banana leaves and tier level of boxes ensure a correct fermentation in three stages with regular mixing of the beans to develop the best aromas. The CÉMOI method ensures control of the fermentation process and traceability of the premium cocoa beans. Once fermented, the beans are dried to reduce their level of humidity from 60% to between 8 or 9%, which gaurantees their conservation. For this stage the Cacao Frais programme installed dryers made from local materials. These structures allow the beans to dry, off the ground, protecting them from the damp ground and storms. Drying lasts approximately 10 days, after which the beans have taken on their characteristic colour. Once dried, the beans are scrupulously checked and are then bagged to commence their long transcontinental voyage. 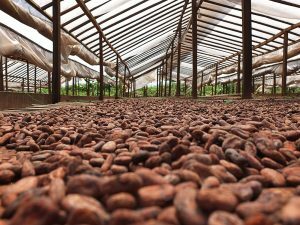 The Cacao Frais project ensures that the teams in the centres can carry out the fermentation and drying processes under optimal conditions. A natural post-harvest process that totally respects the aromatic development of the bean. The Cacao Frais programme ensures production of a Premium cocoa.